So i decided to model my own room used 1 BE as 1 cm. Was this a good decission? Cause effecting lights and if it where here SSS. Here i used a area light. All items you see so far are in position and size/proportions just lack of detail. Chair, computer equipment, heating, TV set and stereo cames later. Any thing i done wrong so far or can improve? 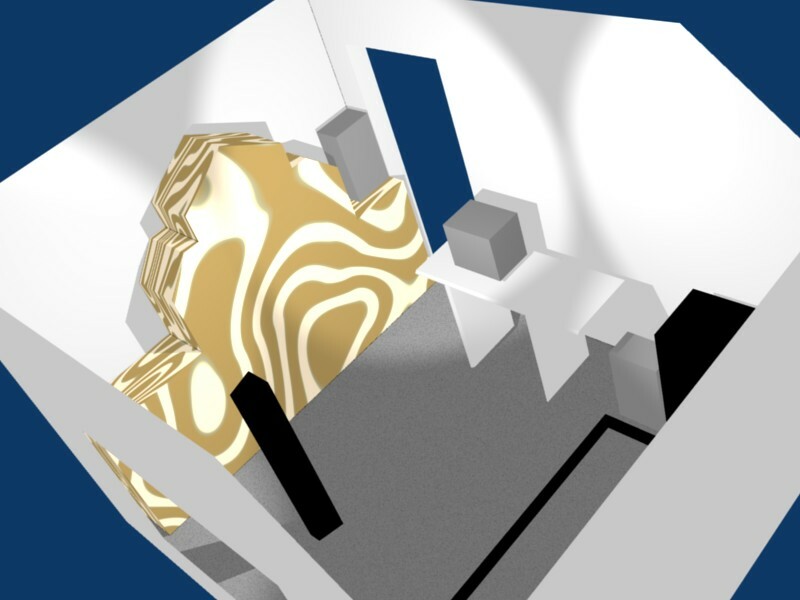 Tweak with the lights, model further, show it from a different angle and turn on AO (Ambient Occlussion). ah AO thats it i was missing, therefore some overcast on my first tries. Not sure man. Very early stages, hope it gets better then this. Your going to scale the image up so the camera can fit ‘into’ the room for a proper perspective view? Show us more. Worked at the desktop and turned AO on as supossed. 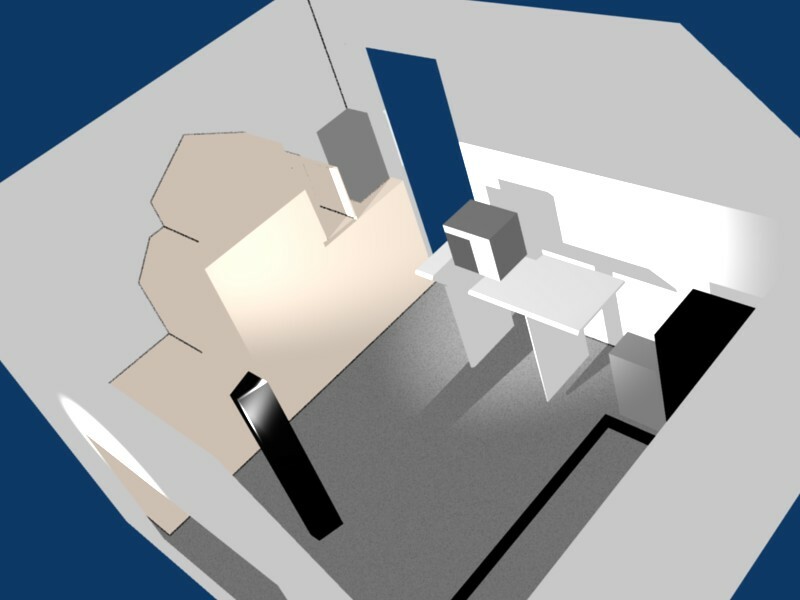 Now four spotlights starting from center at top of room and each individually spotting at the corners. Y have u added texture to it so far? Your still at modelling stage. And y use a cloud texture, or whatever it is to your main piece? Is it suppose to be wood? Use a procedual wood texture, found anywhere on the net. Forget about accuratley measuring distances etc atm, although this IS important. Have some spacial recognition in your head of your room, observe, model, observe, model, observe model. ETC ETC ETC. Hope that makes sence. But they are as accurate as can. No it is produral wood from blender internal. And carpet is also some cloud texture just for better distiguish for my german friends on a not so graphical used forum. I’m not sure about the lighting either, to get it looking realistic, can probably get away with 3 well positioned and well leveled lights, one coming through the window (the sun) one through the door that isn’t as bright (light from other parts of the house) and one/however many from the lights in your room, naturally these will not be on if it is a day-light scene though. I’m aware you are in very early stages of modelling but I thought I would point these things out anyway. Good luck and stick with it! yes a real room. Ok the texture of this furniture with drawers, door and a glas cabinet isnt really pleasant und has to be a light colored wood with a ring pattern. I will test that lights setup on an testing layer. 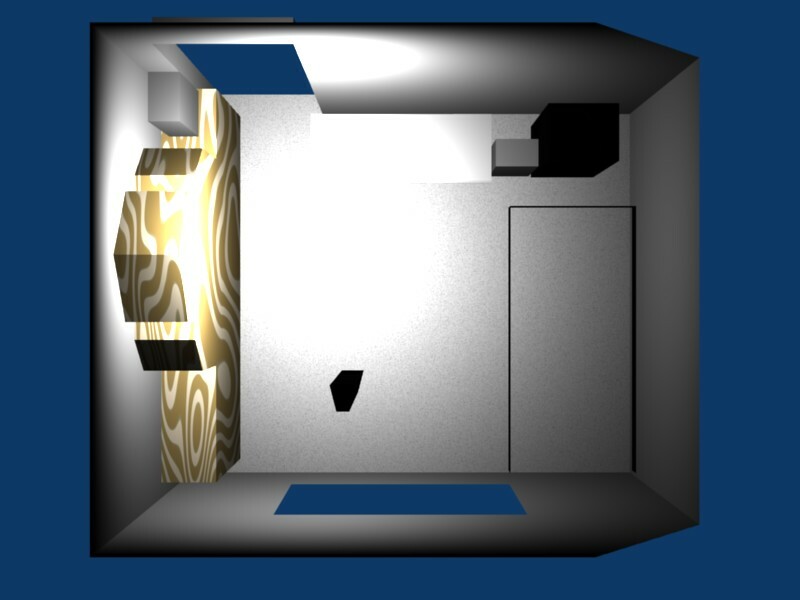 But how can i have react the light as there were a ceilling but are not showing in the render. So i just usesed a spot for outdoorlight. Removed the iritating texture and modeled a litle on the “big” thing. All in all i think it has more deepness now. Completed the living room cabinet only upper glas part, soils, knobs and the right part at the door have to be made.